London is a sprawling mixture of eight million inhabitants, chaotic traffic and streams of tourists seeking the next historical monument. With its busy existence, London may not appear to be the most obvious centre for outdoor activities. Look again, it is. Early risers can take a jog around Hyde Park before the traffic builds up. Riding enthusiasts can hire a horse from one of the livery stables north of the park. Your companions in the park will be foxes, squirrels and other fitness fans, including the Queen`s cavalry from Wellington Barracks exercising their horses. For a more leisurely pursuit, start the day in Trafalgar Square with a snack at the National Gallery`s cafe. Walk across the square and down Whitehall, past the Cenotaph, to the Houses of Parliament and Big Ben. Step out on Westminster Bridge and take in the spectacular view of riverside London that the poet William Wordsworth called "a sight so touching in its majesty". One of London`s best walking or jogging routes starts just down river from the other side of Westminster Bridge at the Jubilee Gardens. This is South Bank, which is also London`s premier arts centre. Follow the embankment past the Festival Hall and National Theatre to Bankside. St Paul`s Cathedral stands on the other side of the Thames whilst the Tate Modern Art Gallery, Shakespeare`s Globe Theatre and the warship, HMS Belfast. Stretch down the river bank towards Tower Bridge. For those who need a refreshing pit stop, veer left just before HMS Belfast and past the old Clink jail to Borough Market. This is London`s best market with numerous cafes and restaurants and sits at the foot of the Shard, the tallest building in the European Union. Serious joggers and walkers can continue down the embankment to Tower Bridge. 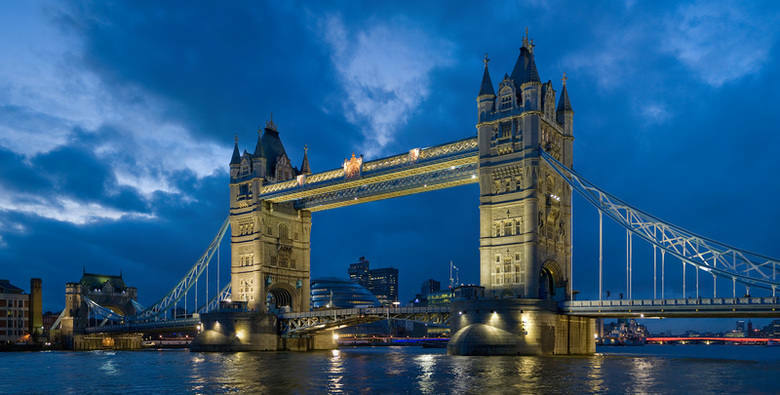 Run across the bridge to the Thames north bank and follow the Lower and Upper Thames Streets through the City of London towards St. Paul`s Cathedral. The best time to walk around this part of London is in the morning on Saturdays or Sundays when the City is quiet and you can visit the old churches designed by Christopher Wren. Turn north just past St Paul`s Cathedral for Clerkenwell. This is Dickensian London where you can stop for lunch. There are lots of opportunities for walking, jogging and especially cycling in London`s outer suburbs. Take a tube, train or bus to Teddington, where the North Sea tides reach their upstream limit on the Thames. The northern towpath on the Thames stretches for 10 miles past Richmond, Kingston-upon-Thames and up to Hampton Court Palace. The path varies in width between six and 10 feet and has special paths for pedestrians and cyclists. There are plenty of exits from the path to bus and rails connections back to central London throughout the day up to midnight. Once back in central London, make sure your theatre tickets are reserved at the box office and enjoy your evening.